These general terms and conditions govern the use of 'Animated video.com', and signing up as a Client, you agree to be legally bound by these Terms and Conditions, including those terms and conditions incorporated by reference. Please read these terms carefully. If you do not accept the Terms and Conditions stated here without modification, you may not use the 'Animated video.com' services. 'Animated video.com' may revise these Terms and Conditions at any time by updating this posting 'Animated video.com'reserves the right to revise these Terms and Conditions at any time . Any modification will take effect as from the date of publishing and will bind any user approaching 'Animated video.com from the date of publishing the updated post.You should visit this page periodically to review the Terms and Conditions, because they are binding on you. In these Terms and Conditions, 'Animated video.com', the 'Animated video.com' service, all services related to it, and all text, graphics, animations, user interface, "look" and "feel", data and other content included in it from time to time (including, without limitation, the selection, coordination and arrangement of such content) are referred to as the "Web Site" or "Service". 'Animated video.com' is a registered trademark of A1 Future Technologies. 'Animated video.com' and the Customer hereby agree to the following terms and conditions with respect to the provisions by Animated video.com to the Customer of services which are identified and/or described in the service agreement attached to these terms and conditions. The Customer will be provided with the Services chosen by him, as are detailed with pricing on the 'Animated video.com' website. Customer's Video will be created iteratively through a production process of consultation-samples-Feedback-Revision Stage, ultimately resulting in a final Animated video conforming to Customer's Creative Briefing and Feedbacks. Creative Briefing and Feedback. The Customer is solely responsible for preparing and sending detailed answers to our Animated video's specification briefing ("Creative Briefing, through the Order Form"). 'Animated video.com' is under no obligation to review a Creative Briefing for further Feedbacks for any purpose, including accuracy, completeness of information, quality or clarity. 'Animated video.com' may decide, in its sole discretion, to deny a Creative or Revision Briefing or Feedback. When 'Animated video.com' provides concepts to the Customer, the Customer shall review and respond. If the Customer fails to promptly inform 'Animated video.com' that the provided Samples are not reasonably responsive to the provided Feedback, the Customer will be deemed to have accepted the Animations. If the Customer notifies 'Animated video.com' that the Customers considers an Animation as not reasonably responsive to the Feedback, the Customer shall provide information regarding amendments or modification to be made to the initial Animations. After providing his feedback, the Customer will be provided a subsequent Response that conforms with the additional criteria requested by the Customer. Payment: The Customer ordering for any of the available services must pay for the Service in advance, by any of the payment methods provided by 'Animated video.com'. The Customers will be charged according to the services(s) selected. 'Animated video.com' will email the Customer a receipt for the transactions in which the Customer is involved and provide the Customer with all the information necessary to start the production process. Refunds: If the Customer is not satisfied with the Basic Concepts provided by 'Animated video.com', Client may request a refund by completing the Refund Request form which will be provided to the Customer upon request. Upon timely receipt of the completed form, 'Animated video.com' will refund the total payment made by the Customer. Acceptance of such refund shall constitute the Customer's sole and exclusive remedy with respect to such Basic Samples. Should the Customer receive such refund, Customer acknowledges that it will have no right (express or implied) to use any Sample or other work product, content, or media, nor any ownership interest in or to the same. If you have already confirmed or approved the acceptance of a video, we cannot provide a refund. Your approval represents an acceptance of the final project and serves as an implicit statement of satisfaction. If you have failed to communicate with us for more than sixty days, any refunds will be at the discretion of 'Animated video.com' management. If the company for whom the video was produced should close, change its name, or undergo other alterations rendering an Animated video ill fitting, we cannot issue a refund. Project duration: The Customer agrees to provide timely responses to 'Animated video.com' after receiving status notifications from 'Animated video.com'. 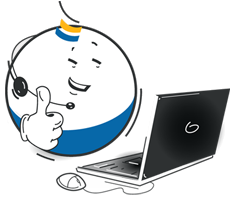 The Customer shall have 15 days to respond to each set of animations sent to the Customer for review. If after 15 days the Customer has failed to respond, 'Animated video.com' will assume the Project complete and the Project shall be deemed to be complete. At such time, 'Animated video.com' shall have no further obligation to the Customer, and the Customer shall pay 'Animated video.com' all fees and expenses associated with work performed by 'Animated video.com'. In rare cases, if the customer feels that it may take him more than 15 days to respond then he is requested to inform 'Animated video.com' accordingly, so that 'Animated video.com' keeps the project in active state. Holiday dates: We work 8.30am until 6pm between Monday and Friday. We remain closed on Saturdays and Sundays. During the following dates service will not be available: 12/24; 12/25; 12/31; 01/01. Any other Special Holiday Dates, if any, will be published on the website - atleast 7 days in advance. Authorization to Use: You may access and use the Service solely in accordance with the Terms and Conditions and any posted policies and procedures that appear on the Web Site. You may provide Creative Briefs and obtain Responses only if you register as a Customer. Any use of the Web Site is at your sole risk and responsibility. Subject to the Terms and Conditions, you may (i) display the Web Site on an internet access device, and (ii) on an occasional, infrequent and ad hoc basis, and only in circumstances that constitute "fair use" under Canadian, United States, United Kingdom, Indian and International copyright law, print copies of insubstantial portions of the Web Site. Except as expressly authorized by the foregoing sentence and as otherwise permitted herein, you may not display or print the Web Site and in no event may you broadcast, circulate, distribute, download, perform, publish, rent, reproduce, sell, store, transmit or create decorative works from the Web Site. This website contains copyrighted material, trademarks and other proprietary information, including, but not limited to, text, software, photos, video, graphics, music and sound, and the entire contents of this website are copyrighted as a collective work under the Canadian, United States, United Kingdom, Indian and International copyright laws. This material may not be published, broadcast, rewritten or redistributed in whole or part without the express written permission of 'Animated video.com'. Unauthorized commercial or private use of this material is subject to criminal prosecution. Prohibited Uses Generally: You are required to comply with all applicable laws (including, without limitation, any applicable export controls) in connection with your use of the Service, and such further limitations as may be set forth in any written or on-screen notice from 'Animated video.com'. Without limiting the foregoing, you agree not to transmit, distribute, post, communicate or store information or other material on, to or through the Web Site that (i) is copyrighted, unless you are the copyright owner; (ii) reveals trade secrets, unless you own them; (iii) infringes on any other intellectual property rights of others or on the privacy or publicity rights of others; (iv) is obscene, defamatory, threatening, harassing, abusive, hateful, or embarrassing to any other person or entity; (v) is sexually-explicit; (vi) constitutes advertisements or solicitations of business, chain letters or pyramid schemes; or (vii) contains viruses, Trojan horses, worms, time bombs, or other computer programming routines or engines that are intended to damage, detrimentally interfere with, surreptitiously intercept or expropriate any system, data or information. You further agree not to (i) use any incomplete, false or inaccurate biographical information or other information for purposes of registering as a Customer; (ii) delete or revise any material or other information of any other user or 'Animated video.com'; (iii) take any action that imposes an unreasonable or disproportionately large load on the Web Site's infrastructure; (iv) use any device, software or routine to interfere or attempt to interfere with the proper working of this Service or any activity being conducted on; (v) use or attempt to use any engine, software, tool, agent or other device or mechanism (including without limitation browsers, spiders, robots, avatar's or intelligent agents) to navigate or search this Web Site other than the search engine and search agents available from 'Animated video.com' on this Web Site or those generally available to third party web browsers (e.g., Netscape Navigator and Microsoft Internet Explorer); or (vi) attempt to decipher, decompile, disassemble or reverse engineer any of the software comprising or in any way making up a part of the Web Site. You are prohibited from violating or attempting to violate the security of the Web Site, including, without limitation, (i) accessing data not intended for you or logging into a server or account that you are not authorized to access; (ii) attempting to probe, scan or test the vulnerability of a system or network or to breach security or authentication measures without proper authorization; (iii) attempting to interfere with service to any user, host or network, including, without limitation, by way of submitting a virus to, or overloading, "flooding", "spamming", "mailbombing" or "crashing", the Web Site; (iv) sending unsolicited e-mail, including promotions and/or advertising of products or services; or (v) forging any TCP/IP packet header or any part of the header information in any e-mail or posting. Violations of system or network security may result in civil or criminal liability. 'Animated video.com' will investigate occurrences that may involve such violations and may involve, and cooperate with, law enforcement authorities in prosecuting users who are involved in such violations. 'Animated video.com' reserves the right to review postings on the Web Site, to remove any postings, and to terminate your ability to communicate with, or post to, the Web Site at any time without notice, in its sole discretion. 'Animated video.com' will take commercially reasonable efforts not to disclose any information you communicate with, or post to, the Web Site but reserves the right to disclose such information to the extent necessary to satisfy any applicable law, regulation, legal process or governmental request, or to edit, refuse to post or to remove any information or materials, in whole or in part. Operation of Web Site: 'Animated video.com' shall not be responsible for any delays or interruptions of, or errors or omissions contained in, the Web Site. 'Animated video.com' reserves the right, but shall not be required, to correct any delays, interruptions, errors or omissions. Although 'Animated video.com' intends to use commercially reasonable efforts to make the Web Site and Service accessible, 'Animated video.com' makes no representation, warranty or covenant that the Web Site or Service will be available at all times or at any time. Various circumstances may prevent or delay availability. 'Animated video.com' may at any time discontinue the Web Site in whole or in part, may change or eliminate any transmission method, and may change transmission speeds or other signal characteristics. 'Animated video.com' shall not be responsible for any loss, cost, damage or liability that may result. 'Animated video.com' shall not be responsible for any use that is or is not made of the Web Site or the Service. Without limiting the foregoing, 'Animated video.com' makes no representations, warranties or covenants regarding, and does not guarantee, the truthfulness, accuracy, or reliability of any information or other material (including, without limitation), any Creative Brief, Revision brief, Term Sheet, Response or User Identity (as defined hereafter) that are communicated through, or posted to, the Service, whether by Members, Customers, 'Animated video.com' or otherwise, nor does 'Animated video.com' endorse any opinions expressed by any user of the Web Site, including any Member or Customer. Without limiting the foregoing, 'Animated video.com' makes no representations, warranties or covenants regarding the validity of the rights to Responses granted pursuant to this Agreement. Customer acknowledge that any reliance on information or other material, including, without limitation, any Service, Term Sheet, Response or User Identity, communicated through the Service, or posted to the Web Site will be at your own risk. Without limiting the foregoing, each Customer agrees and acknowledges that it uses each Response at its own risk and that it is responsible for taking any actions it deems reasonable to determine whether its use of a Response will infringe any third party intellectual property, privacy or publicity rights. Web Site and Service Generally: Except as expressly contemplated under this Agreement, as between 'Animated video.com' and the Customer, 'Animated video.com' will own all right, title and interest in and to all copyright, trademark, service mark, patent, trade secret or other intellectual property and proprietary rights in and to the Web Site and Service, in all media now known or later devised, to the full extent provided under Canadian and United States and international law. You shall not remove, conceal or alter any copyright notice, byline information, disclaimer, restriction or other notice on the Web Site or any portion thereof. You shall not use or permit any third party to use the name, trademarks, trade names, of 'Animated video.com', including 'Animated video.com', without the prior written consent of A1 Future Technologies who may agree or refuse in its sole discretion for each such request. Rights of Animated videocom: The Customer grants 'Animated video.com' and its mother company a royalty-free, perpetual, irrevocable, sublicenseable, exclusive, worldwide right (including any moral rights) and license to use, reproduce, modify, adapt, publish, translate, create derivative works from, distribute, communicate to the public, perform and display (in whole or in part), and/or incorporate in other works, in any form, media, or technology now known or later developed, the Animated videos provided by 'Animated video.com', for the full term of any intellectual property rights that may exist in such videos to the extent necessary to provide the Customer with the Service and the videoss. Rights of the Customer:Subject to the Customer's compliance with the terms and conditions of this Agreement, the Customer shall own the final Video provided to the Customer by 'Animated video.com' hereunder. The Customer shall not, however, own any materials, media or other content generated during any revision cycles leading up to the final video, with such right, title and interest expressly reserved to 'Animated video.com'. The customer acknowledges and hereby grants to 'Animated video.com' the right to use Creative and Revision Briefs, as well as individual animations provided to the Customer, for internal and filing purposes, and in order to display and promote the 'Animated video.com' Service. The Customer acknowledges that his rights under this Agreement shall be limited solely to the final video accepted by him and that no trade or service marks in or to such final video is being conveyed under this Agreement. The Customer acknowledges that 'Animated video.com' shall have no obligation or duty to perform trade or service mark searches or inquiries, or the like, in order validate the propriety or legality of the provided compositions. Until final video is approved as per standard contract with 'Animated video.com', all animations, artwork, Scripts and videos remain the copyright and exclusive property of 'Animated video.com'. This material may not be reproduced in any other way without the prior written consent of A1 Future Technologies or our agents. A1 Future Technologies reserves the right to utilize and/or reproduce any graphics, animations or illustration created by Animated video.com.com, in advertising, electronic or traditional reproduction, with the addition of any copyright and/or trademark notice that may be requested by the owner of the work. By placing an order to 'Animated video.com', you agree and consent to these terms and conditions. Accordingly, the Customer is encouraged to perform its own independent searches with regard to the videos provided by 'Animated video.com'. Furthermore, The Customer acknowledges that 'Animated video.com' shall have no responsibility or obligation of any kind to assist the Customer in seeking state or federal intellectual property protection (i.e., without limitation, trademark registration) for the Animated videos, nor shall 'Animated video.com' be responsible in otherwise assisting the Customer in any way in the Customer's perfection of the Customer's rights in or to the videos Ownership (copyright and title) of the final video become the property of the Customer, having unlimited, indefinite, and royalty-free use of the video upon payment of all fees. 'Animated video.com' retains rights to display the video in its portfolio and advertising materials. A1 Future Technologies retains the Copyright to all concepts, comprehensives, or other preliminary materials, which are not selected by the Customer or are not included into the final delivery. Animated video.com. expects the Customer to perform researching on their company name to be sure the name is not already in use and securing a copyright, trademark or service mark to protect the Customer's legal rights to any name or image. 'Animated video.com' is not and will not be held responsible for any legal action that may result from improper due diligence on the availability of a company name or image. 'Animated video.com' is not responsible for researching nor infringing any trademark violations that may or may not arise in our dealings with the Customer and his/her agents. All trademark matters are the full responsibility of the customer. In case you order an exclusive right to the pre-made Animated video, you will own all rights to the video once you make full payment. Pre made videos are sold to the Customer from whom payment is first received. A pre-made video with Exclusive Right once sold to a Customer will not be sold to another Customer. Licensing the font used in the Animation (both Custom and Pre-Made) is the responsibility of the Customer. Animated video.com will hold your video files in our archives for 1 year from the time of ordering. This service is not guaranteed so it is advisable to keep safe your files once delivered. 'Animated video.com' may charge a reasonable amount for re-supplying the video or animation files from our archives after the initial delivery. Should the Customer require additional creations on video beyond the scope of the ordered service (either concurrently with the video project or at a later date), the Customer will be offered a Free Quote for the Additional Services. Additional work will be done after the Customer pays for the add-on services in advance. The Service serves solely as a venue for the creation of work and Animated video.com does not screen or censor any information or material posted to the Web Site. Although Animated video.com.com makes commercially reasonable efforts to determine the identity of Customers, 'Animated video.com' cannot and does not confirm that any Customer or other user is who they claim to be or that any Customer or other user has the qualifications he or she claims to have. Because Animated video.com does not and cannot be involved in user-to-user dealings or control the behavior of participants on the Web Site, if you have a dispute with one or more users, you release Animated video.com (and our affiliates, agents and employees) from all claims, demands and damages (actual, consequential, direct, indirect, incidental, special and exemplary) of every kind and nature, known and unknown, suspected and unsuspected, disclosed and undisclosed, arising out of or in any way connected with such disputes. The service and the responses are provided "as is." Animated video.com makes no representation or warranty of any kind whatsoever to the customer or any other person relating in any way to the service, including any part thereof, or other content that may be provided by www.Animated video.com.The customer accepts that the electronic devices and software used by the customer to review the Animated videos provided by www.Animated video.com may distort the colors, shapes and effects used to create the concepts. www.Animated video.com disclaims any warranty related to the accuracy of the output devices used by the customer -whatever its nature- and keep the right to state the specifications of a given video by using standard color, measure and animations. the customer will accept those specifications as those corresponding to the chosen Animated video. www.Animated video.com disclaims to the maximum extent permitted by law, any and all such representations and warranties. Without limiting the generality of the foregoing, Animated video.com disclaims to the maximum extent permitted by law any and all (i) warranties of merchantability or fitness for a particular purpose, (ii) warranties against infringement of any third party intellectual property or proprietary rights, (iii) warranties relating to delays, interruptions, errors, quality or omissions in the service, (iv) warranties relating to the transmission or delivery of the service, and (v) warranties otherwise relating to performance, nonperformance, or other acts or omissions by Animated video.com or any third party. further, and without limiting the generality of any of the foregoing, there is no warranty that the service will meet the customer's needs or requirements or the needs or requirements of any other person. Neither Animated video.com nor any third party shall be liable to you or any other person for any remedy, liability, damages, costs, or losses whatsoever relating in any way to the web site, including any part thereof, or any other content, whether arising under these terms and conditions or applicable law, including contract, tort, statutory, or any other law. In no event shall Animated video.com or any third party be liable to you or another person for consequential, incidental, special, exemplary, punitive, or indirect damages arising under or in any way related to the service provided by Animated video.com, including any part thereof, or any other content, (including lost profits, loss of business or data, business interruption, trading losses, and damages that result from inaccuracy of the information or inconvenience, delay, or loss of the Animated videos provided by Animated video.com, even if Animated video.com or any third party has been advised of the possibility of such damages or losses. The Web Site may contain links to third party web sites or other services (the "Linked Content"). The Linked Content is not under the control of Animated video.com and Animated video.com is not responsible for the Linked Content, including, without limitation, links contained in the Linked Content, or any changes or updates to Linked Content. Animated video.com is providing Linked Content to you only as a convenience, and the inclusion of such Linked Content is not an endorsement by Animated video.com of such Linked Content. If you decide to access any Linked Content, you do so at your own risk. Upon a request by Animated video.com, you agree to defend, indemnify and hold harmless Animated video.com and its subsidiaries, affiliates, officers, agents, co-branders or other partners and employees from all liabilities to, claims of any third party due to or arising out of your violation of any of these Terms and Conditions, and any expenses, including, without limitation, reasonable attorneys fees, incurred in connection therewith. Animated video.com reserves the right, in its sole discretion, to terminate the Service, at any time, with or without notice. In the event of such termination, Animated video.com will work with the Customer to determine the amount of any refund (if any) to be paid to the Customer as a result of such termination. Should the Customer's use of the Service result from the Customer's material breach of the terms and conditions of this Agreement, or any other agreement to which Animated video.com and the Customer are a party, the Customer shall not be entitled to any refund, unless otherwise mutually agreed upon by the parties. These Terms and Conditions set forth the entire agreement and understanding of the parties with respect to the subject matter hereof and supersede any and all prior oral or written agreements and understandings, and any and all contemporaneous oral agreements and understandings between you and Animated video.com regarding the subject matter of these Terms and Conditions. If any provision of these Terms and Conditions is held by a court of competent jurisdiction to be invalid, void, or unenforceable, then such provision shall be deemed null and void, but the remaining provisions shall continue in full force without being impaired or invalidated in any way. The language of these Terms and Conditions shall be deemed to be the language mutually chosen by the parties and no rule of strict construction shall be applied against or in favor of either party hereto. The section headings and other headings contained in these Terms shall not affect the meaning or interpretation of these Terms and Conditions. If Animated video.com and the Customer have need for legal recourse to settle any dispute the case will be handled by a court of law having jurisdiction over the Animated video.com's location i.e. Kolkata, India. Unless otherwise specified and/or credited all images, artwork, text and graphics, Animations and Animated videos, Flash animations of this site, manual and/or disk are the copyright and/or trademark of www.Animated video.com All rights reserved. This copyright does not supersede any copyrights that may exist in the Animated videos, presented. These works are copyright and/or trademarked by the various owners. Any authorized reproduction of this material shall be reported to the original holder of said copyright or trademark. Licensed Animated video.com Resellers and approved Animated video.com Sales Associates may utilize certain Animations and/or text from Animated video.com website in their marketing materials, but any such reproduction is subject to prior written permission by Animated video.com and subsequent approval of the usage of same. Any further usage of Animations, text and/or videos from this web site is expressly forbidden. Animations and text that have been previously approved for all licensed resellers are available directly from the limited access area of the 'Animated video.com' web site.For further information on any of our terms and conditions, or would like information about licensing videos and/or materials from Animated video.com please contact us at Info@animatedvideo.com.